​The year 2017 brought lots of changes to the farm. One of which was starting our INDOOR aviary. So in the future we will be raising some great exotic parrots. All birds are raised by their parents for 2-3 weeks and then hand fed/raised the rest of the way in our home. They are socialized with all ages including children. Meet CAPONE. Capone has been with us for a couple years now. 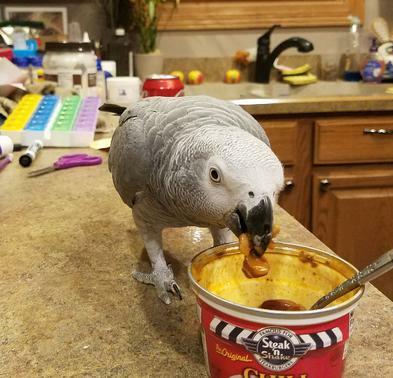 he is a Congo African Grey. Capone is a very sweet boy (to the girls in the house) Men - NOT SO MUCH! I have a breeder pair of Congo African Greys as well. Meet GEORGE. 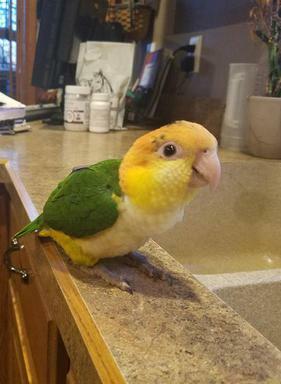 George is a white bellied caique. 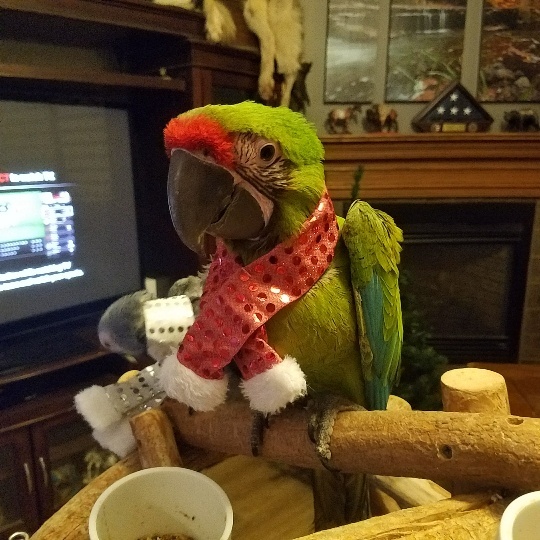 George is my husband's bird and a RIOT! He loves to play with toys...hop...and re-do your hair! He hangs out on your head most of the day if you let him. 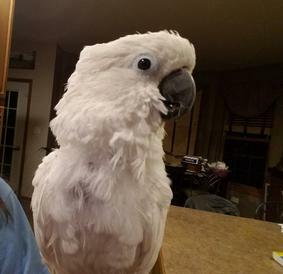 Meet SAM...Sam is an Umbrella Cockatoo and EVERYONE that meets Sam just falls in love with him. We will not be breeding Too's at this time...but he is a VERY special boy! Meet Kia and Mojo. 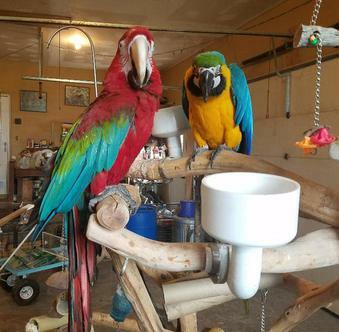 Kia is a Green Wing Macaw, Mojo is a Blue and Gold Macaw. 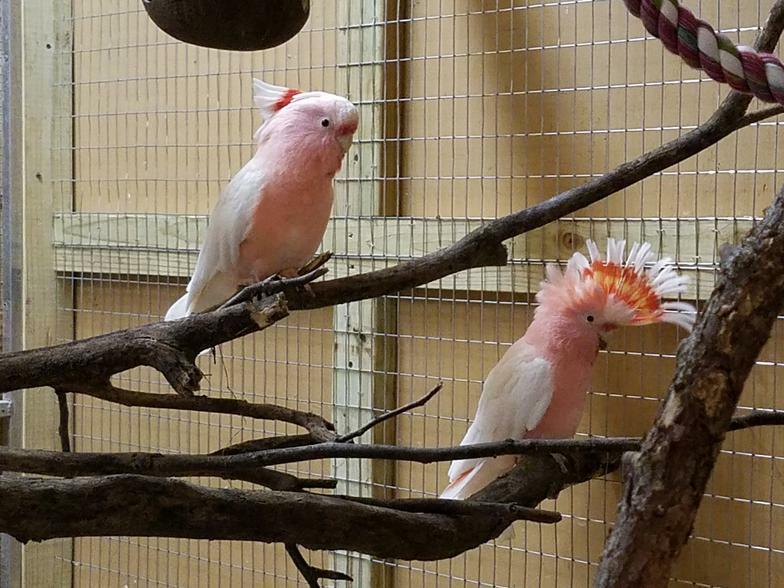 This is a proven pair we just added to our aviary. We will be working on having Harlequin baby macaws in 2018 from this pair! Just acquired a pair of Major Mitchell Cockatoos. 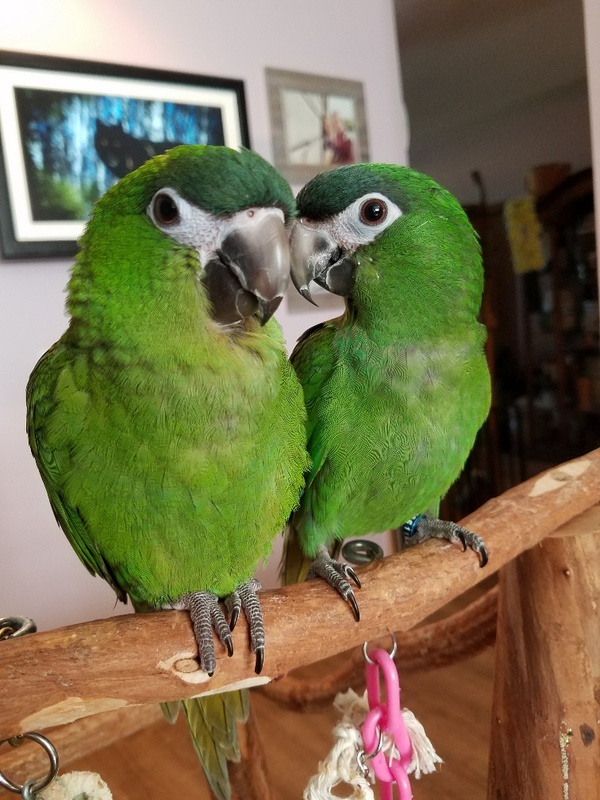 Meet Baby and Johnny...The Hahn's Mini Macaw! 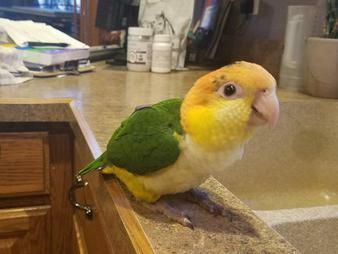 Baby was first in our lives...and a super, super sweet little parrot. 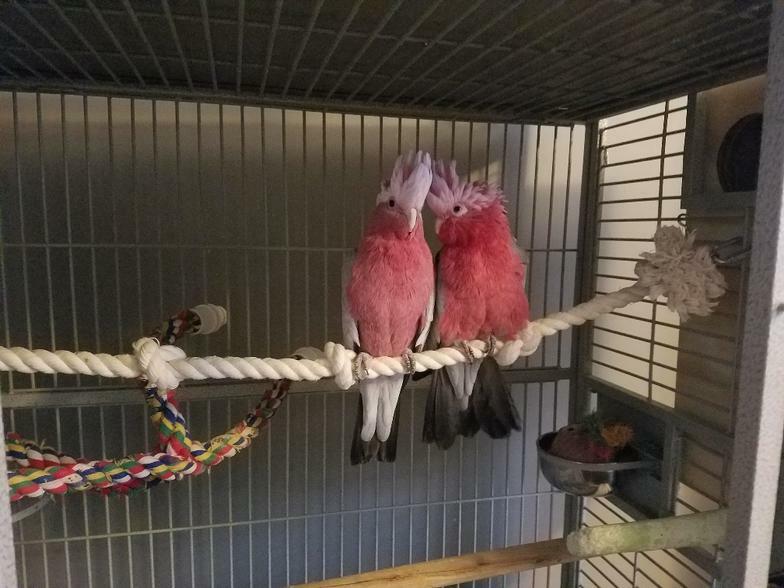 I decided to get her a mate and when Johnny arrived they were so in love from the second they met. It will be a few years before we have a hatch but LOVE these little macaws! Meet Zazo! Zazo is a Buffons Macaw. I hand raised her from 2 weeks old. She is a super super sweet baby! Just starting to talk. I am hoping I can find her a mate someday, but right now I am enjoying her as a treasured pet!